As a technical support analyst and software trainer I am in constant contact with GIS users in Australia (predominantly in Queensland as I’m based in Brisbane). From time to time I realize that some of my clients are not aware of some of the simple improvements that the software developer implement with version upgrades. So I decided to make a brief overview of the “top five things” that my clients were not aware of or haven’t used in the new v10.2 software release. #1. 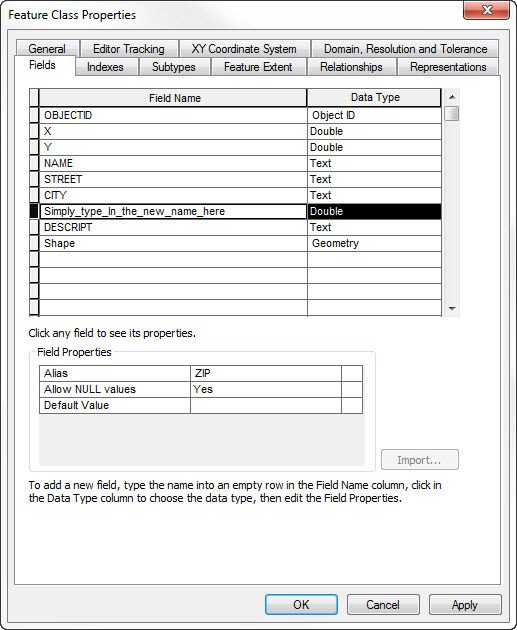 Rename and change the field’s types in the file geodatabase after the field has been created. Open the feature class properties in a file geodatabase, navigate to fields and you’ll find out that you can now rename them. And if the table is empty, say when you’re working on creating a schema for an empty feature class, you can even change the type of the field (i.e. switch from FLOAT to DOUBLE). This means in 10.2 you can stop creating new fields and using the Field Calculator to copy the values if all you need to do is just rename the field. Jump to the feature class properties dialog and rename it! Tired of ArcMap’s slow performance when viewing a high-resolution raster? 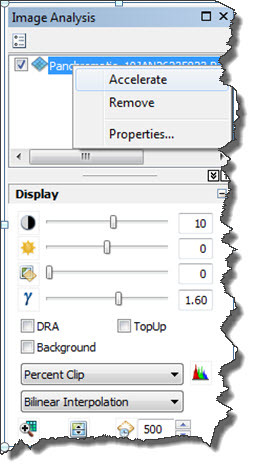 In 10.2 you can use a new option provided in the Image Analysis window to accelerate the rasters displayed in ArcMap. Navigate to ArcMap > Windows > Image Analysis Window right-click on the raster and choose “Accelerate”. Give ArcMap a few moments to pre-cache the raster and enjoy the smooth and seamless navigation (hold the “Q” button on the keyboard to pan around the dataset continuously). This is one the best examples of how posting an idea on the ArcGIS Ideas (ideas.esri.com) could be beneficial to millions of ArcGIS users worldwide. Users asked Esri to add the ability export the tabular data to EXCEL, and this has finally been implemented via two script tools added in the ArcGIS 10.2 for Desktop. You no longer have to export the tabular data to dBase tables in ArcMap and then open them in EXCEL to save as CSV or XLS documents. Use the tool to convert the data straight to XLS! #4. Returning the license back to the license server. Some of my clients ask me if there is a way to return the license back to the license server explicitly. Imagine that someone has picked a license and left the ArcMap running before going on vacation to Hawaii for a couple of weeks. Of course, the user’s computer is locked by password, so you can’t just go and close ArcMap to release the license. 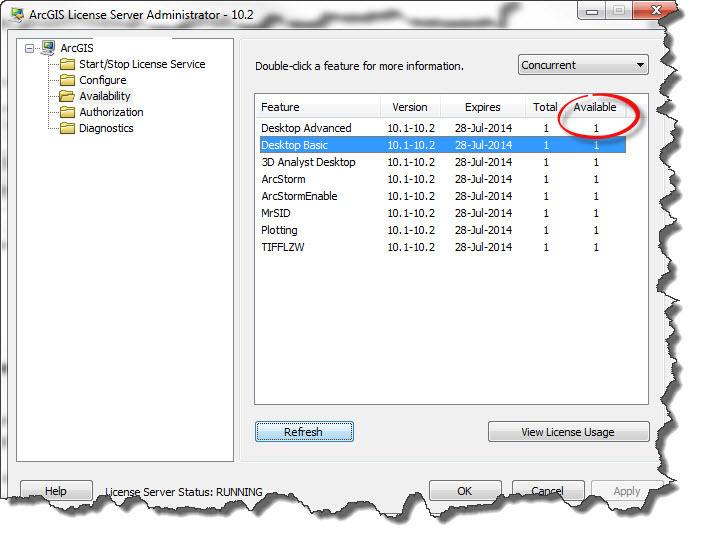 Well, if you have administrator’s access to the license server you can use one of the new tools that have been implemented in the ArcGIS 10.1 and 10.2 called Force License Check-In. Then switch to the tab called Checked Out. 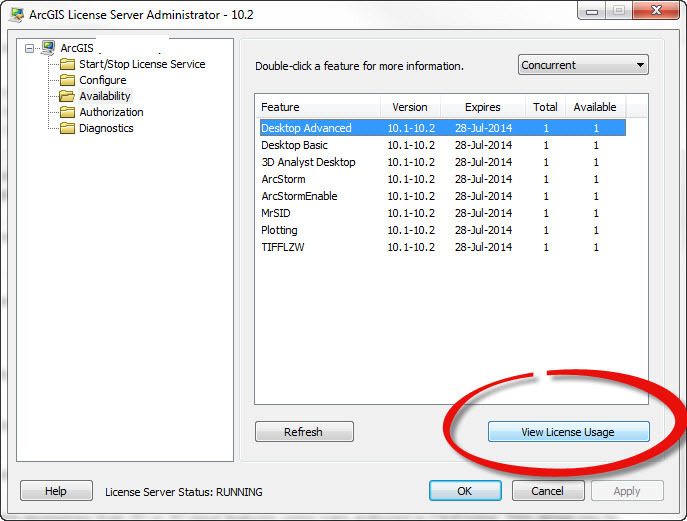 And choose the license you’d like to return to the server (ArcGIS Advanced in this case). #5. This one isn’t something new, although a lot of users are unaware of this functionality to create geo-enable PDF documents in ArcMap. In most cases when you create a map in ArcMap you have to deliver the results of your mapping in a form of a web map, a printed map or a map exported to one of the commonly used raster or vector formats. Most of us either print the hardcopies or share the results in a PDF document. It turns out that only a few users know that PDF documents can carry a lot of extra information – GIS attributes coordinates and not just a simple picture of your map. b. Export Map Georeference Information is checked. 3. 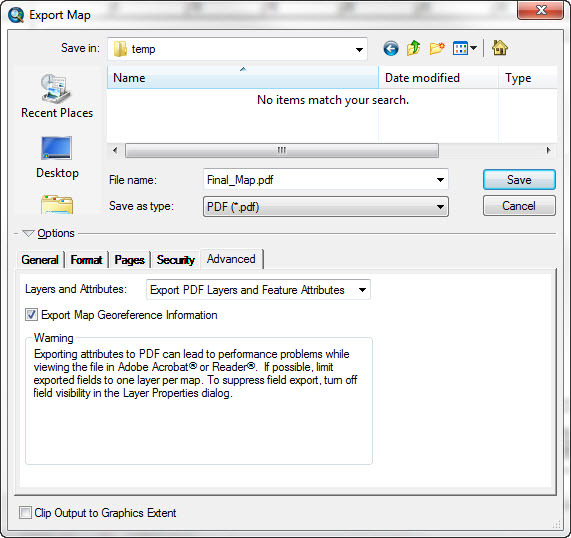 Export your map to PDF and open it in your default PDF reader (I bet it’s Adobe Reader). 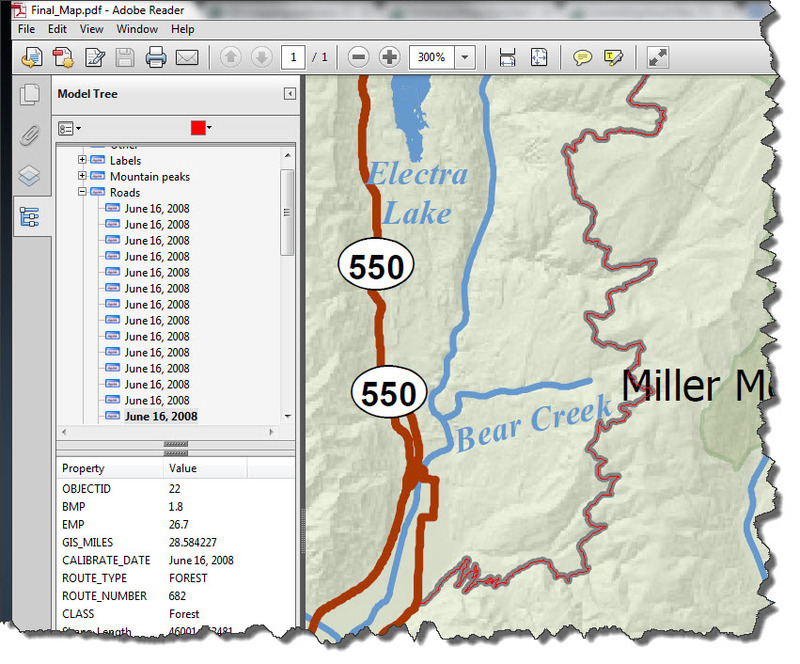 The Object Data Tool will show you the GIS attributes that have been embedded in the PDF document. Just double-click on the feature of interest and the attributes will show in the window on the left. Please note that the location of the above two tools may vary from version to version. Check if you have the latest Adobe Reader. I hope you’ve discovered something new in this post. If you have any troubles with any of the above workflows, don’t hesitate to send an email to the Esri Australia’s Support team. We’re here to help! Oh, and don’t forget to check out the “What’s new in 10.2” document! This entry was posted in General and tagged 10.2, ArcGIS for Desktop, Geodatabase, geoprocessing, mapping on October 24, 2013 by Ivan E.. Working on Statewide Imagery, I tested to accelerate the seamless layer (rasters) and it works better. Its Oct 2015, I am at the other side of the globe, using ArcGIS 10.3, and I still find this post usefull. Savvy blog post . I loved the details ! Does anyone know if my assistant might access a blank a form example to use ? Wow….that PDF conversion is really more useful to me.